Ever since I discovered Sprinkle Pug I haven't bought from any other sticker shop. I've ordered from Sprinkled Pug various times and continue to buy because the illustrations are adorable! 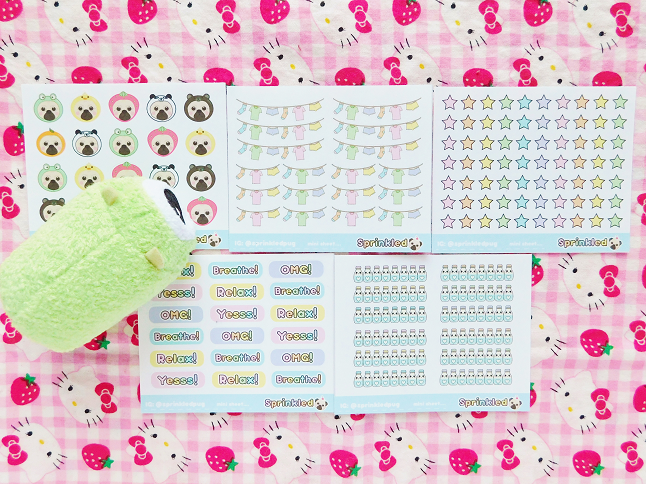 I buy the mini sticker sheets because they fit in my Mini Happy Planner perfectly and since the stickers are small I can write more in my planner. 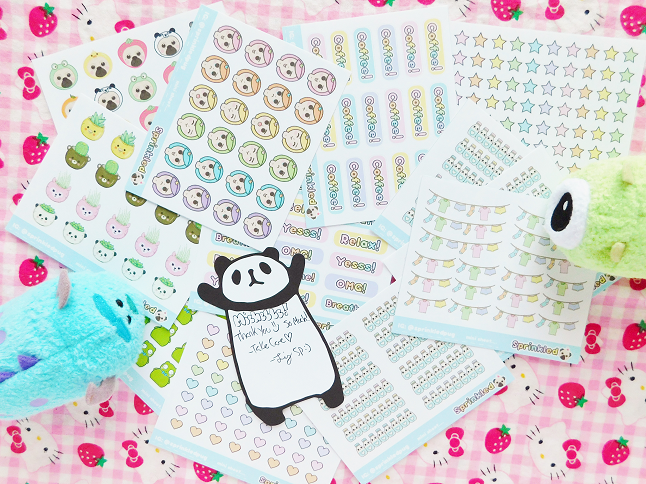 Recently I placed a pretty big order so I wanted to share some cute stickers. 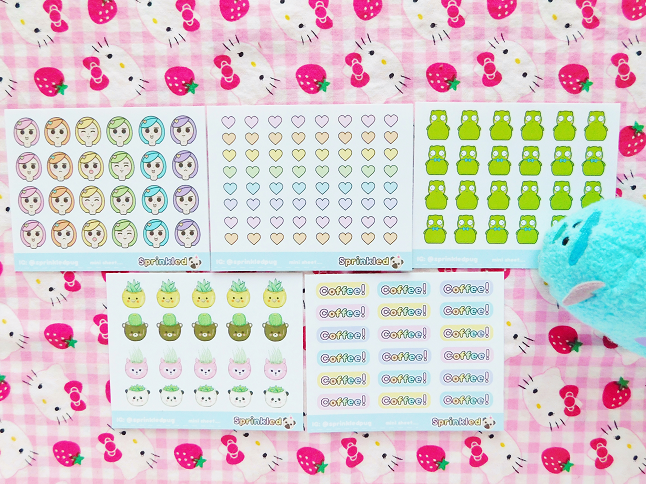 Liz sells mini sticker sheets every week for $1 ($1 shipping to US and Canada or $1.50 to other countries) so if you are interested in buying some sheets check out her Instagram. She's currently selling some Halloween stickers! Can we talk about this note set? It's extremely cute! It's apparently from the Target Dollar Section. I will definitely be searching for this set next time I am at Target! 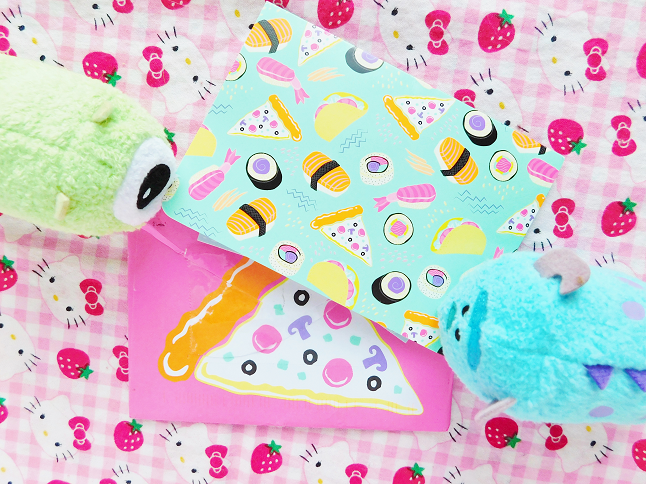 Pug in Hats, Laundry Line Banners, Pastel Stars, Pastel Quotes and Water Trackers (I bought 3 of these because I like to keep track of my water). 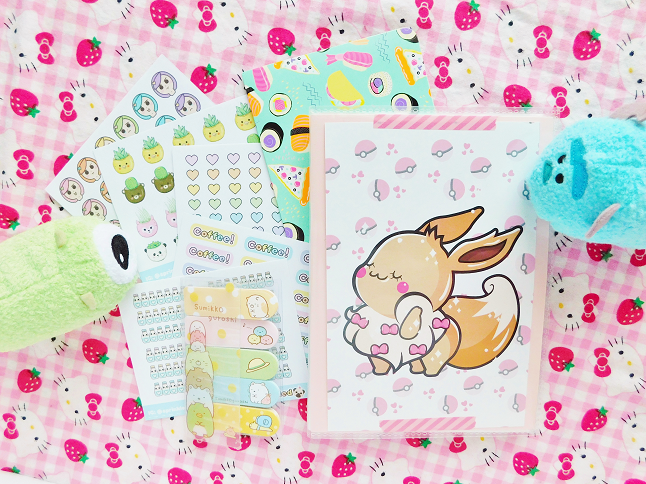 Kawaii Girls, Pastel Hearts, Kuchi Kpoi, Kawaii Plants, and Pastel Coffee. 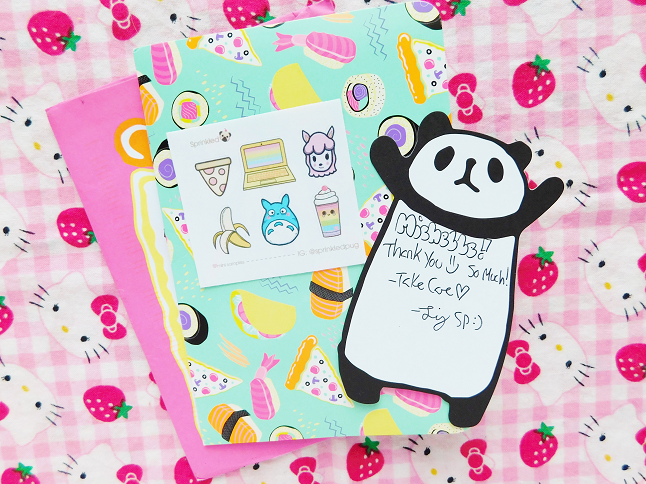 I love how Liz always leaves thank you notes with every order, she's so sweet! Even though I've ordered from her shop multiple times and she always includes the free sample which I always end up using.